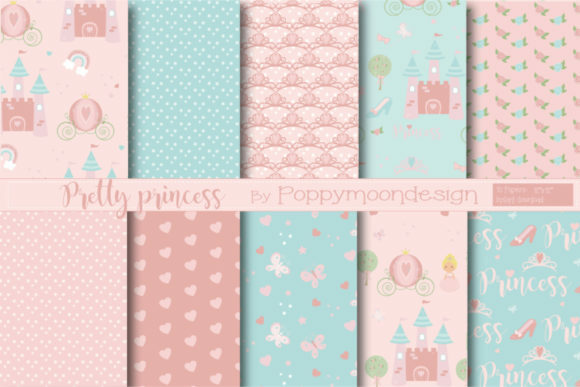 A very sweet pack of pink princess themed papers. Patterns include glittery stars, castle and carriage, hearts and flowers. Perfect for party invites, scrapbooking, greeting cards and all your little princess crafting. This pack includes 10 sweet pink princess papers.